For two decades, a quiet office park outside Frankfurt has served as home to Project Rahab, a cyber-espionage operation named after the prostitute in the Book of Joshua who helps spies infiltrate Jericho. According to the National Security Council's Operations Security Intelligence Threat Handbook, Project Rahab is an arm of the Bundesnachrichtendienst, or BND, Germany's foreign intelligence agency. Of note, the BND is directly subordinate to German chancellor Angela Merkel. Project Rahab uses SIGINT -- intelligence based on interception of signals, conversations and electronic communications -- to gather information on foreign business competition that can benefit German companies. BND officers have penetrated computer networks and databases in countries including Russia, the United Kingdom, Japan, France, Italy, and the United States. Project Rahab poses a far greater threat to U.S. national security. Of particular concern, according to Winkler, is "the apparent willingness of German businesses to funnel sensitive information and technology to nations that are hostile to the United States." For example, Iran. Much of what Iran has acquired is nuclear technology. Yesterday, BND head Gerhard Schindler issued the following denial to the Zeit online news site: "No telecommunication-intelligence is conducted from the German embassy in Washington." Not exactly a denial of spying on us, is it? This is all old news to the intelligence community. As British Prime Minister Palmerston told the House of Commons in 1848, "We have no eternal allies, and we have no perpetual enemies. Our interests are eternal and perpetual, and those interests it is our duty to follow." Adds longtime CIA operations officer Fred Rustmann, whose book CIA, Inc. covers Volkswagen's mid-'90s theft of secrets from General Motors, "All countries spy on one another if they have the capability. The only possible exception is the U.S. and U.K., who have a special relationship. [Today's] scandal isn't that we were intercepting Merkel's phone calls, it's that we couldn't keep it secret." 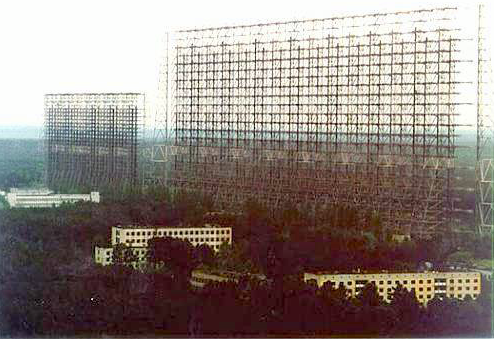 A KGB-built listening post that's still operational, possibly eavesdropping on you right now. If you need to know more, go here.